Today AOC wrote to HEXUS to announce a new member of its G90 Series gaming monitors. 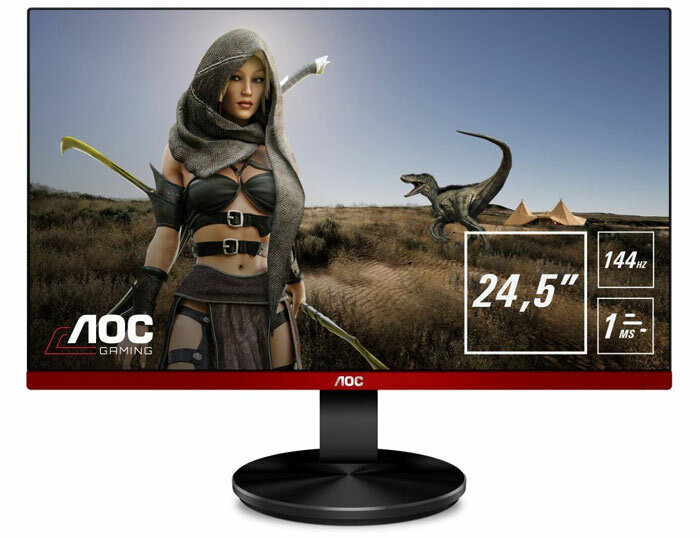 The AOC G2590FX is described as "a new 144Hz mainstream gaming monitor with AMD Radeon FreeSync and 1ms response time". This Full HD 24.5-inch monitor uses a TN panel but boasts wide viewing angles (170°/160°). The original G90 Series launched back in December last year and AOC now thinks that its entry-level but capable range would benefit from this model, targeting specs that "most budget-conscious gamers are passionate about". 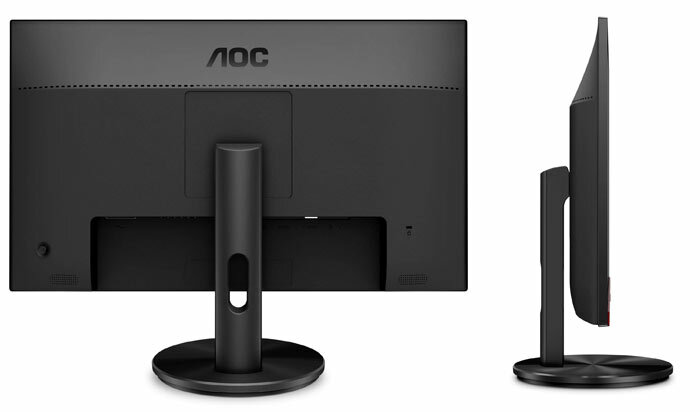 As well as the headlining refresh and response time specs mentioned in the intro, AOC points out that the G2590FX features the following attractive qualities; 400cd/m² brightness, a premium looking 3-sided frameless design, tilt adjustments from -3.5° to 21.5°, and 100x100 mm VESA mounting. For use of this monitor over longer periods FlickerFree technology and Low Blue Light mode are welcome additions. The G2590FX is equipped with VGA, DisplayPort 1.2 and 2 x HDMI 1.4 display inputs, enabling legacy and current devices to easily connect. Just like the rest of the G90 family, the G2590FX is certified with various green credentials, contributing to a sustainable future. Game modes are present and selectable from the multi-language OSD. Users can choose between FPS, RTS, Racing, Gamer 1, Gamer 2 or Gamer 3 - the last three being user setting storage slots. Shadow Control is present too, with settings adjustable between 0 - 100 for fine tuning the detail in the dark image areas. AOC has also implemented a low input lag toggle and a trio of overdrive settings in the OSD. Additionally there are six Eco modes, and a plethora of colour and image adjustment options. Checking through the product manual (PDF) you can find that the vertical refresh range is from 50~146Hz (D-SUB), or 30~146Hz (HDMI 1.4 / DP). That is quite a wide range for FreeSync to work over. In its email to HEXUS, AOC said that the G2590FX is available immediately and it comes with an MSRP of £219. However, I have spotted it at Insight UK for £185.99 inc VAT. Buyers get a three year warranty. Displayport 1.2 is a welcome addition at this price point.